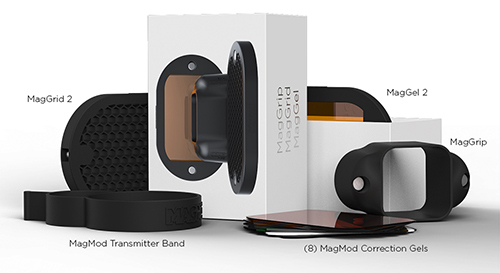 The MagMod 2 Basic Kit consists of the MagGrip, the MagGrid and eight colour filters. 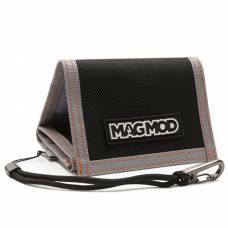 The MagGrip attaches to any speedlite flash with a super strong neodymium magnet system. 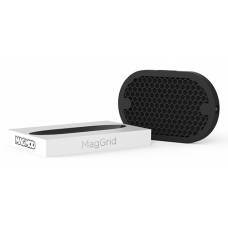 The MagGrid is a honeycomb grid that focusses the light where you need it. And a choice of eight colour filters allows you to create any effect your heart desires. 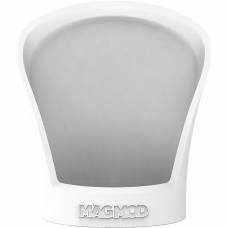 MagMod 2 is a magical flash modifier system that frees your speedlite flashes from velcro, straps, and adhesives by geniously incorporating the invisible powers of magnetism. MagMod's notoriously strong neodymium magnets now enter from the side, preventing accidental removal. 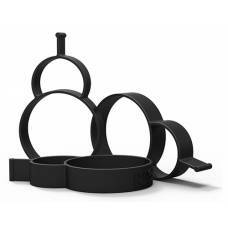 Combined with slightly more flexible silicone rubber, the new MagMod 2 is stronger than ever. 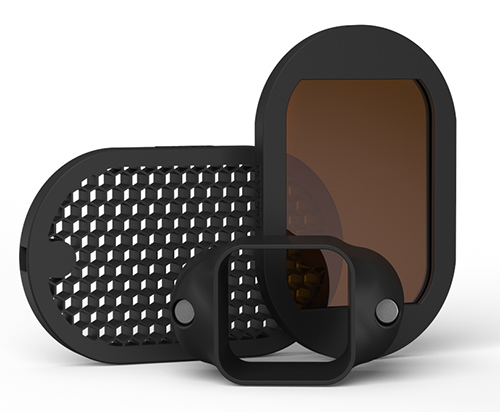 Each MagMod 2 modifier is embedded with two freakishly strong neodymium “rare-earth” magnets that instantly, silently, and securely attach to your flash. Just attach it and forget about it. MagMod 2 was designed from the ground up to be completely modular. 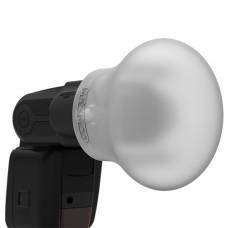 Stack multiple MagGrid 2’s and MagGel 2’s, in any order, and start to shape and control your light like never before. Simplicity is where form meets function. 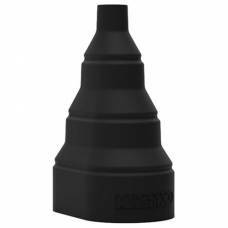 Each MagMod 2 is designed as a single molded piece of high-quality silicone rubber that is sleek, compact, easy to use, and incredibly strong. The MagGel 2 is the fastest and easiest way to attach gels to your flash, period. 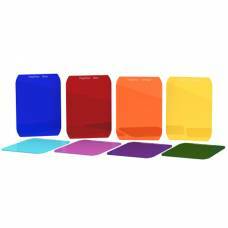 MagMod abandoned the concept of flimsy gel strips and manufactured their own rigid gel sheets that are practically indestructible.